Cobbler’s Bench Shoe Repair specializes in shoe and boot repair and carries a complete line of shoe care and comfort products to help you keep your footwear looking and feeling good. We maintain standards of the highest quality in craftsmanship, materials and merchandise. Customer satisfaction is our top priority. Visit one of the 17 Cobbler’s Bench Shoe Repair locations in Washington, DC, Maryland or Northern Virginia to keep your footwear in top condition. A sole protector is an extremely durable, very thin rubber sole that is applied over an existing new or slightly worn sole. 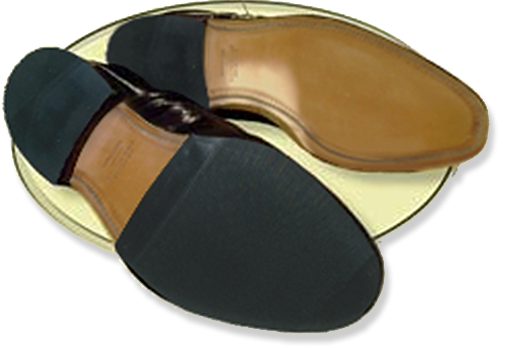 Sole protectors will wear 3-4 times longer than a than a leather sole and are suggested for people who walk a lot or need slip resistance on their footwear. View our other repair services. 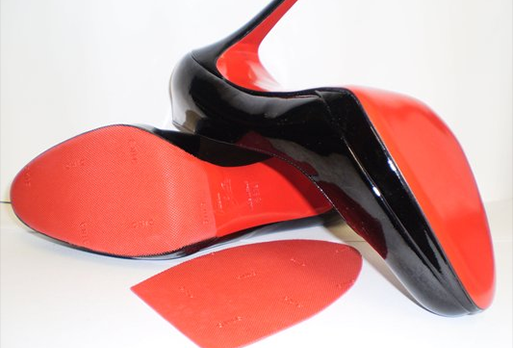 Do you love your shoes so much you hate to wear them for fear of wearing the red finish off of the bottoms? The craftsmen at Cobbler’s Bench Shoe Repair have a solution for you. Cobbler’s Bench Shoe Repair is a division of Stern Shoe Repair Company, Inc. Stern Shoe Repair Company has been in business since 1946 and is a shoe repair and findings company with many locations throughout the Metropolitan Washington Area. The main office, plant and warehouse share the same building with the plant containing specialized equipment used to repair items that cannot be repaired at any of the outside locations. Coming to work in 1964 for the company, David Stern is the son of the original owners, Charles and Sara Stern, and has been actively involved in the company since his graduation from college with a degree in business administration. Today, with a total of some 35 employees, we are operating over 20 shoe repair locations in the greater Washington, D.C. area including such major shopping malls as Â Towson Town Center, Montgomery Mall and Union Station. In addition, we are operating four shoe shine stands in the House of Representatives Office Buildings. Stern Shoe Repair Company, Inc. continues to maintain standards of the highest quality in the repair of shoes, material used, related shoe repair merchandise and in the fulfillment of expectations of a very satisfied customer, be it shoe shines or shoe repairs. 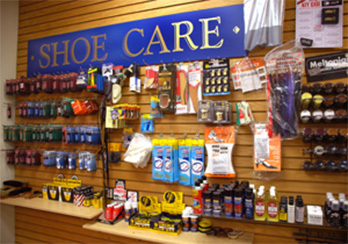 Every Store carries a large selection of shoe and leather care products. Stop by today. Make sure to include your phone number. 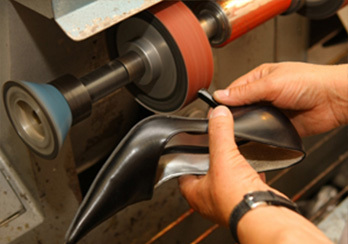 We will evaluate your shoes and call you with a price before we start work. Visit one of the 17 Cobbler's Bench Shoe Repair locations in Washington, DC, Maryland or Northern Virginia to keep your footwear in top condition.